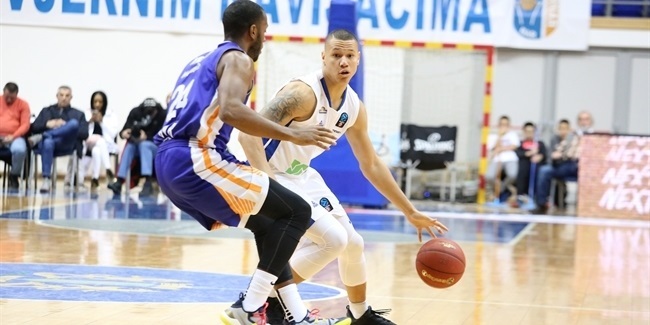 One of the walking wounded for Fraport Skyliners Frankfurt, blogger Akeem Vargas has a suggestion for young players everywhere: to learn how to play, watch the EuroLeague! 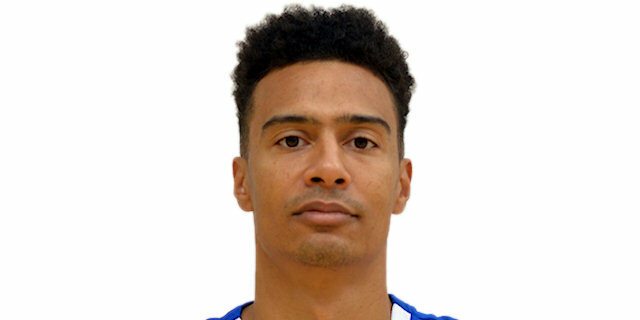 Fraport Skyliners Frankfurt went limping into the 7DAYS EuroCup Top 16 on Thursday with two more injures that will follow them into the new phase. 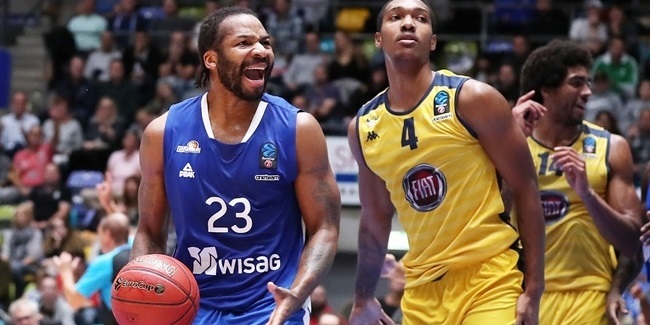 Fraport Skyliners Frankfurt announced new agreements with combo guard Trae Bell-Haynes and big man Erik Murphy to stay together at least until the end of the season. 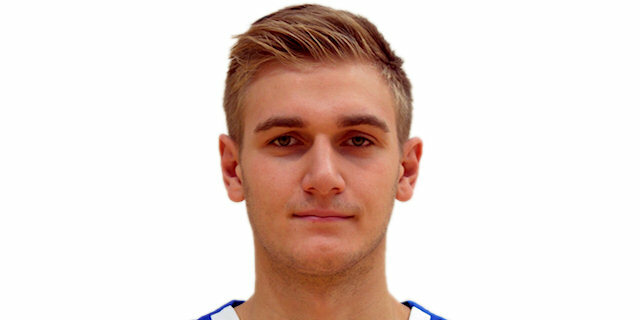 Fraport Skyliners Frankfurt reacted to injuries by picking up young talent Leon Kratzer for the frontcourt, the team announced on Tuesday. 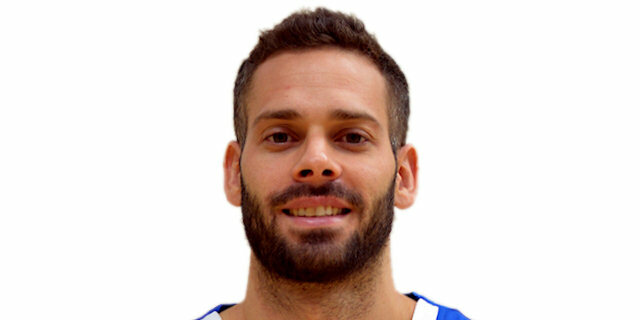 Fraport Skyliners Frankfurt center Jonas Wohlfarth-Bottermann is set to be sidelined for at least 10 weeks due to a broken bone in his right foot, the club announced Tuesday. 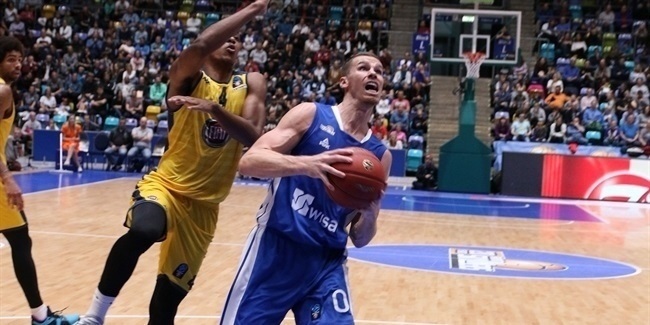 Fraport Skyliners Frankfurt almost reached basketball perfection in the first half of its win against Mornar Bar. 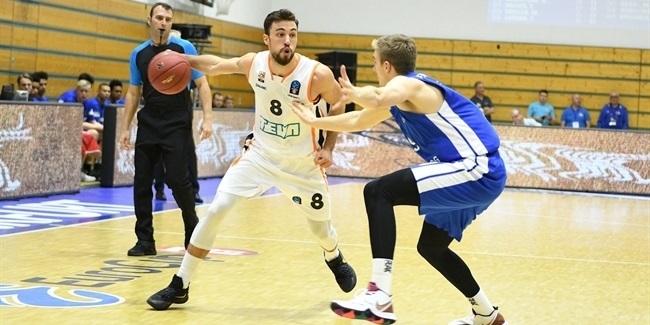 ratiopharm Ulm locked up third place in Group F by winning 68-83 on the road over Fraport Skyliners Frankfurt to also secure bragging rights among the German clubs. 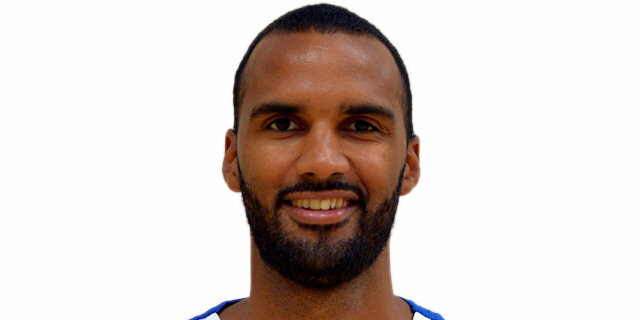 LDLC ASVEL Villeurbanne led from start to finish in a rout of visiting Fraport Skyliners Frankfurt 75-52 to come on the verge of qualifying for the EuroCup Quarterfinals on Tuesday night. 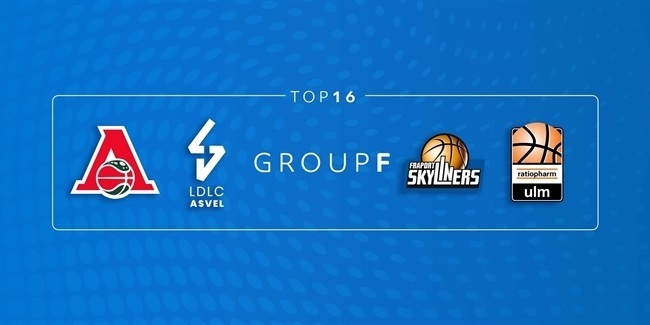 LDLC Asvel Villeurbanne maintained its perfect record in Group F with an assured 58-70 road victory at winless Fraport Skyliners Frankfurt. 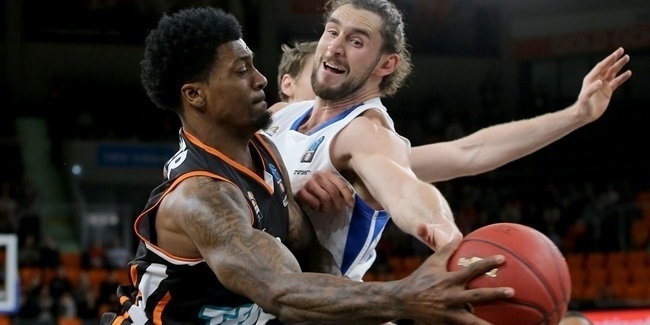 ratiopharm Ulm opened the Top 16 with a hard-fought 70-63 win in an all-German League showdown against the visiting Fraport Skyliners Frankfurt in Group F on Thursday night. 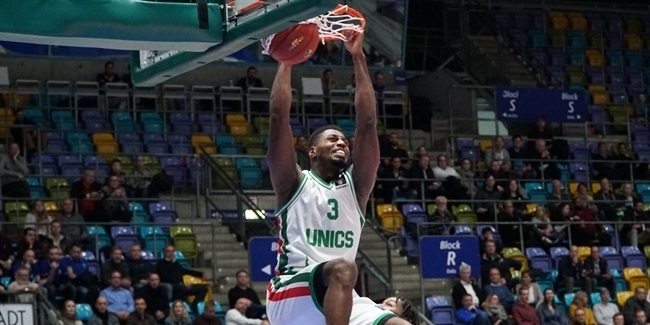 UNICS Kazan finished off the regular season with a hard-fought 65-72 victory on the road over Fraport Skyliners Frankfurt. 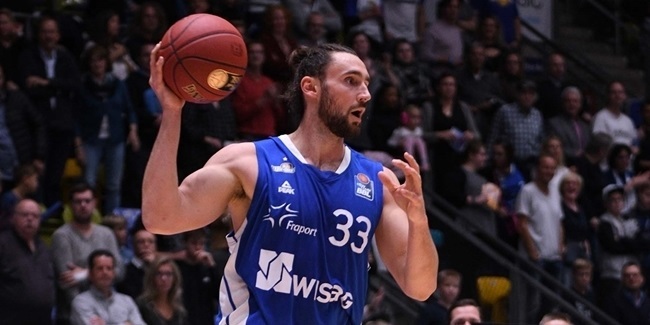 Fraport Skyliners Frankfurt outlasted Mornar Bar 83-87 on Wednesday night to eliminate the debutant from Top 16 contention. 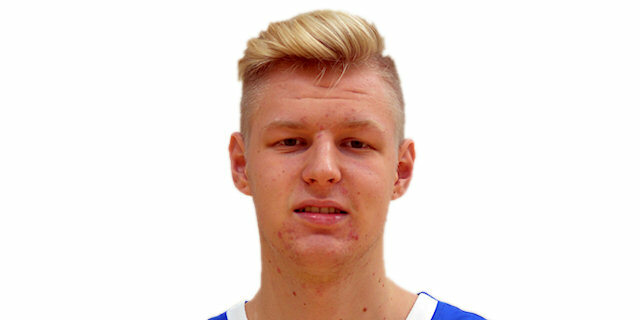 Fraport Frankfort Skyliners celebrated their 7DAYS EuroCup debut by qualifying for the Top 16 early thanks to a thrilling 65-63 comeback home win over Rytas Vilnius on Wednesday in Group D.
Fraport Skyliners Frankfurt came into the 2017-18 German League season with a squad that meshed young talents with savvy veterans. 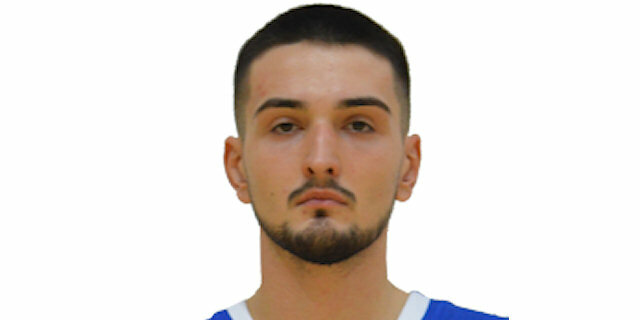 The blend worked out nicely as Skyliners started the season with five wins from six games behind the lights-out shooting from Philip Scrubb. 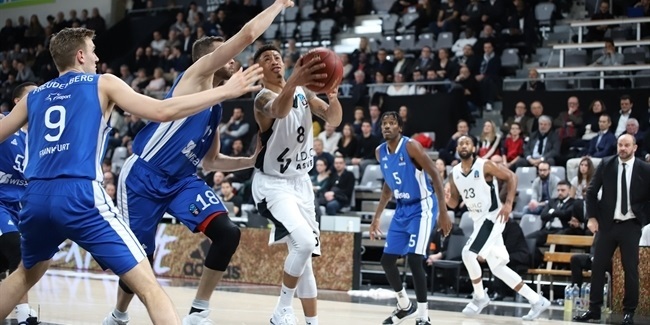 The team's solid form earned it a place in the German Cup quarterfinals, but Medi Bayreuth was too strong. 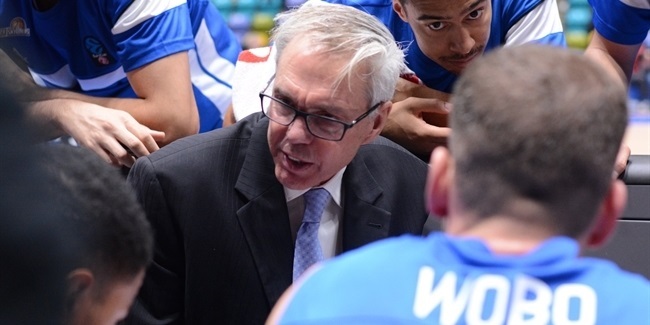 The race to reach the German League playoffs was tough, but Skyliners were up to the challenge. 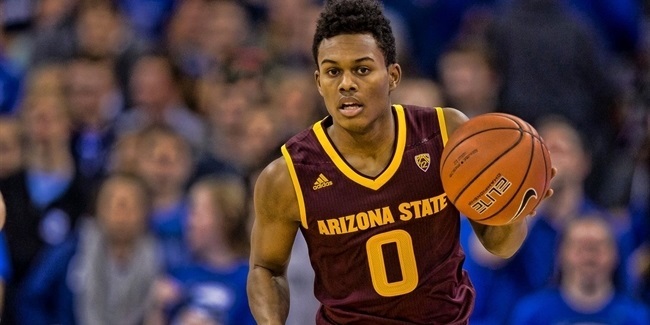 Four wins from the last five regular-season games gave the team a 20-14 record and eighth place. 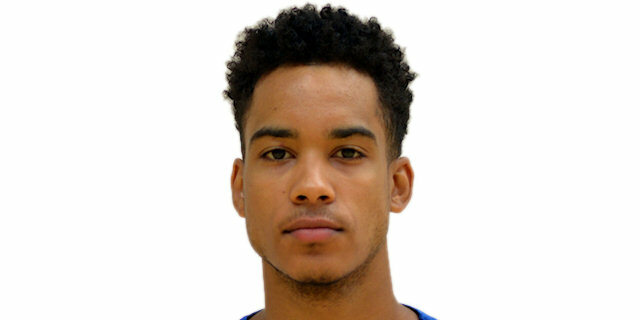 Skyliners faced FC Bayern Munich in the quarterfinals and behind Scrubb and Tai Webster jumped out to a 2-1 lead in the best-of-five series, however, Bayern came back to win the next two games. 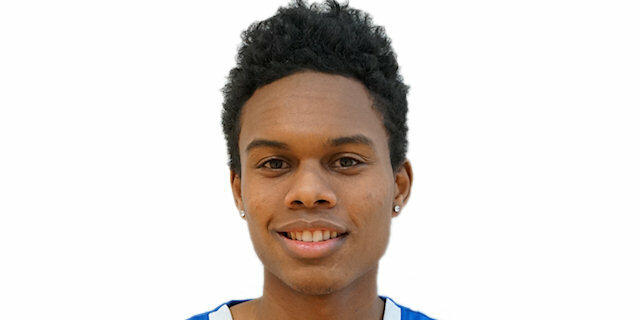 Scrubb, who led the league in scoring with 19.6 points per game, also won the league award as Best Offensive Player. 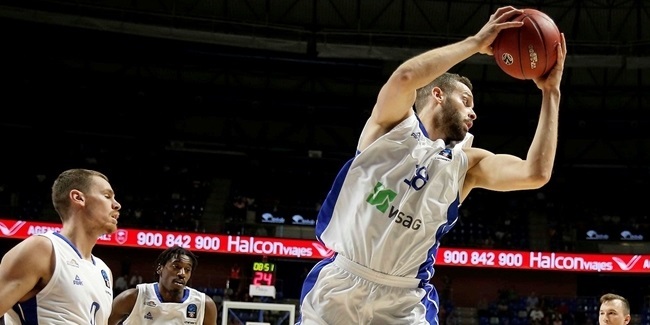 After six seasons away, Fraport Skyliners Frankfurt is back in the EuroCup and ready to make some noise. 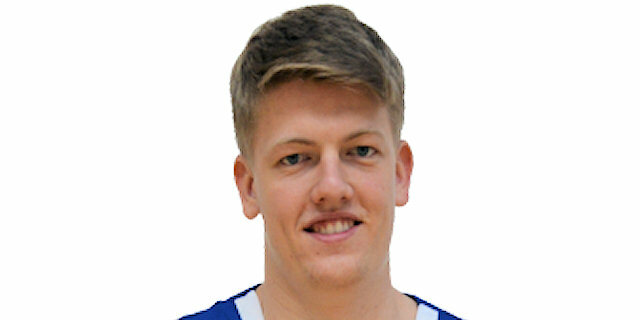 Born from the ashes of the Tatami Rhondorf Basketball club in 1999, the club's growth improved thanks also to the arrival of a major sponsor, Opel. 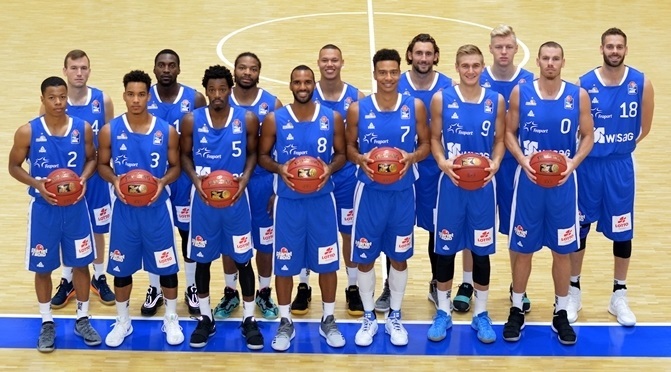 The Skyliners won the German Cup in 2000 and took part in the first two seasons of the modern EuroLeague in 2000-01 and 2001-02. 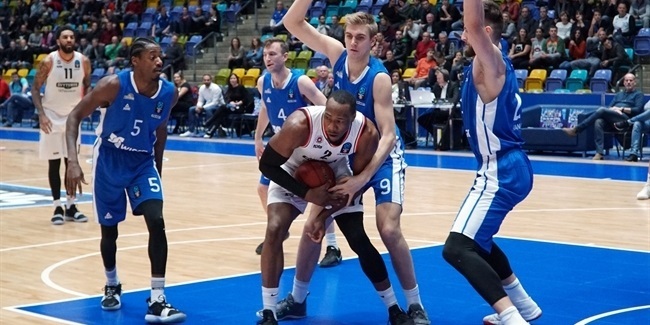 The Skyliners were the 2002 German League regular season champion, but were knocked out by ALBA Berlin in the playoff semifinals. 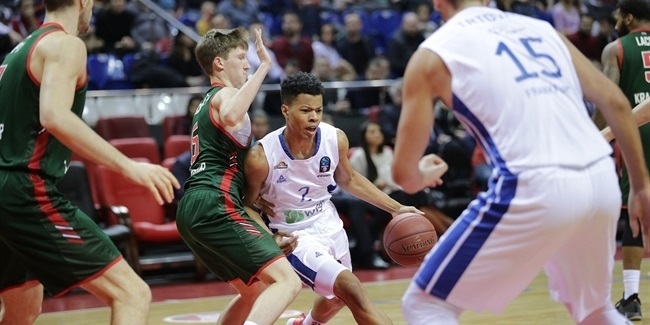 The Skyliners started to compete in the newborn ULEB Cup and won their first-ever German League in 2004 by downing GHP Bamberg 3-2 in the finals to secure a ticket to the EuroLeague for the third time. 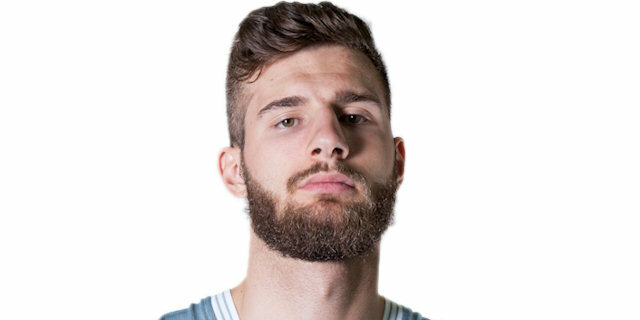 The next season, the team finished the EuroLeague regular season with a 4-10 record despite its many injuries and later managed to return to the German League finals, but Bamberg got its revenge and celebrated the title. 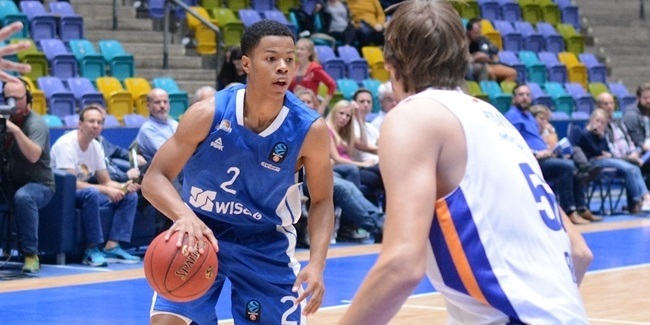 The Skyliners missed the German League playoffs in the next two seasons, but bounced back in the 2007-08 campaign to reach the German League semifinals. 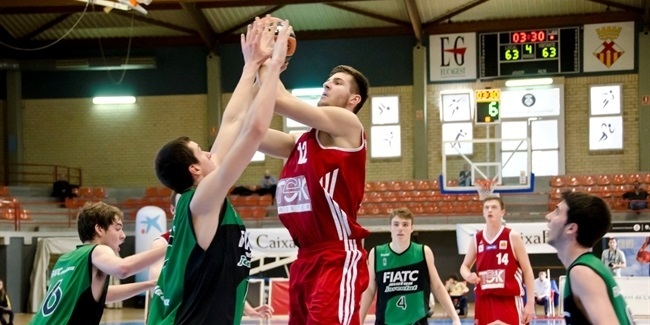 The club was back to the playoffs in 2008-09 too, but did even better the following season. 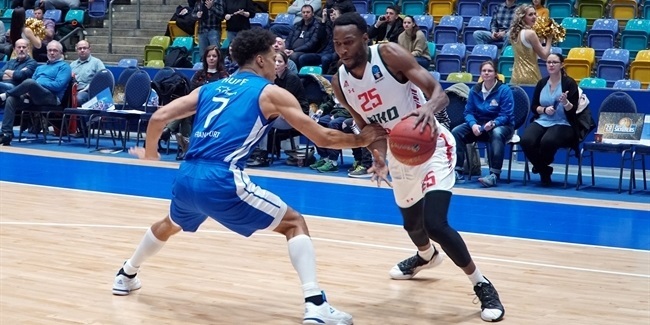 Despite a seventh-place regular season finish, the Skyliners heated up when it mattered most and knocked off Gottingen and Bremerhaven to reach the finals. 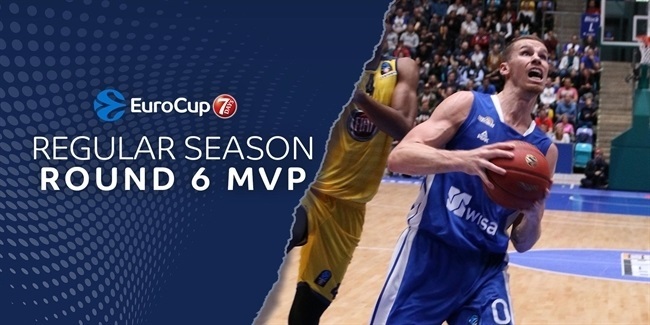 The deciding series came down to the wire – the Skyliners played all possible 15 playoffs games in 2009-10 – and Brose took the German crown. 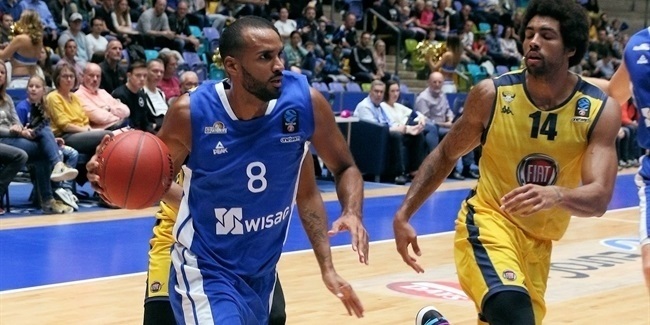 After reaching the 2011 German semifinals, Skyliners earned a berth in the 2011-12 EuroCup, but failed to win a game or advance. 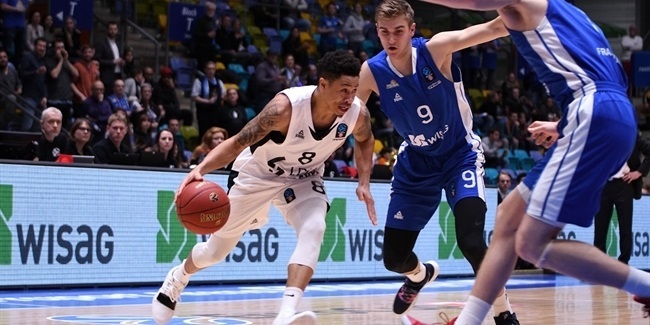 Two more quiet seasons followed in which the club did not compete in Europe nor reach the German playoffs, but the return to relevance began in 2014-15 when it reached the semifinals of the FIBA EuroChallenge led by Justin Cobbs and a young Johannes Voigtmann. 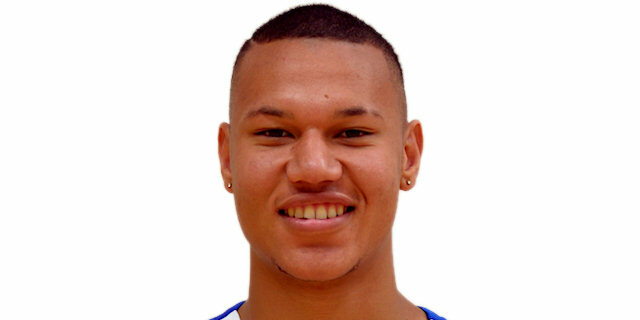 A year later Skyliners soared to new heights in the FIBA Europe Cup. 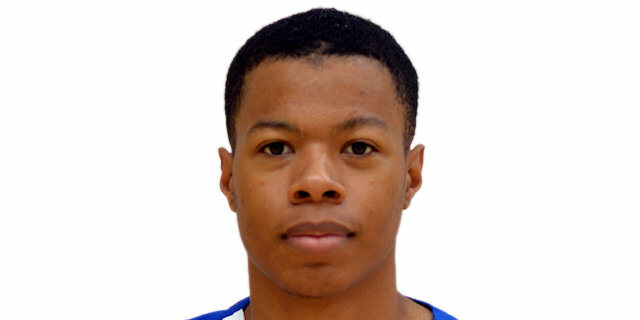 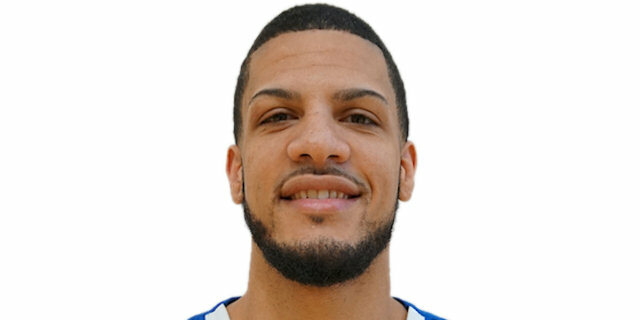 Jordan Theodore and Quantez Robertson starred as Skyliners reached the competition's final four in France where it bested Enisey in the semifinals and Varese in the championship game to capture the club's first European trophy. 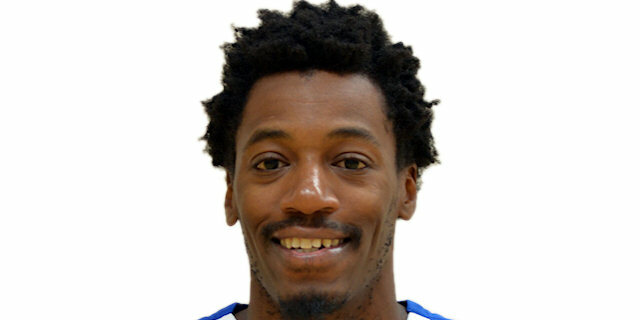 Skyliners also placed third in the German League regular season and reached the playoff semifinals that year. 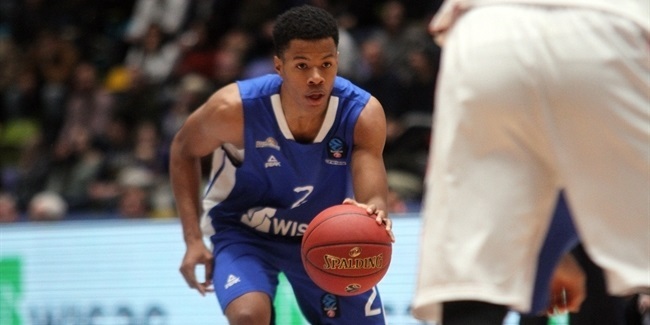 Two seasons ago Shavon Shields and Kwame Vaughn were the main weapons as Skyliners reached the Basketball Champions League playoffs, but also missed the German playoffs. 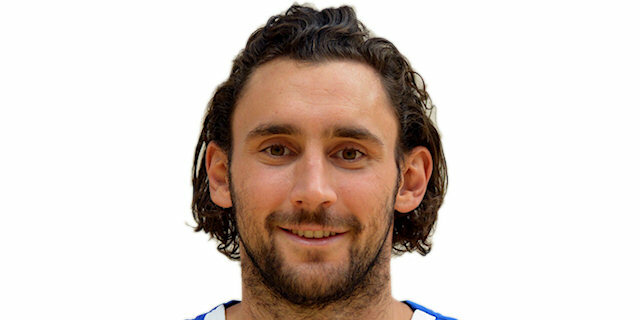 This past season Skyliners took a break from European play and, behind league-leading scorer Philip Scrubb, pushed eventual champion FC Bayern Munich to the distance in the German quarterfinals. 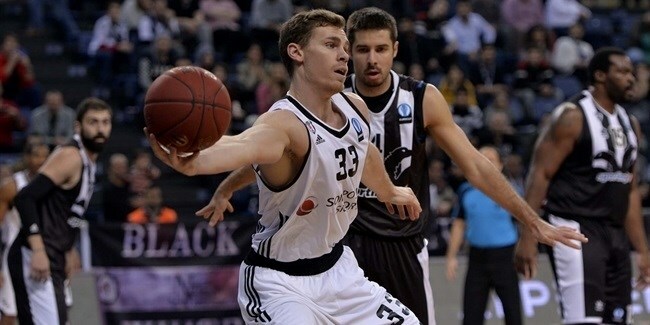 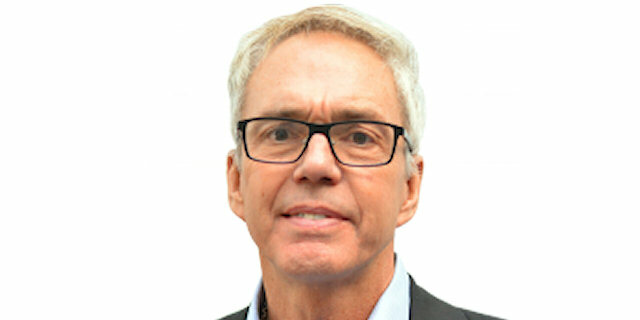 Now the club from Frankfurt is taking aim at the 7DAYS EuroCup once again.